Kulturland Brandenburgs theme year title for 2018 is „Europe in Brandenburg, Brandenburg in Europe“ and explores the region in its European context. 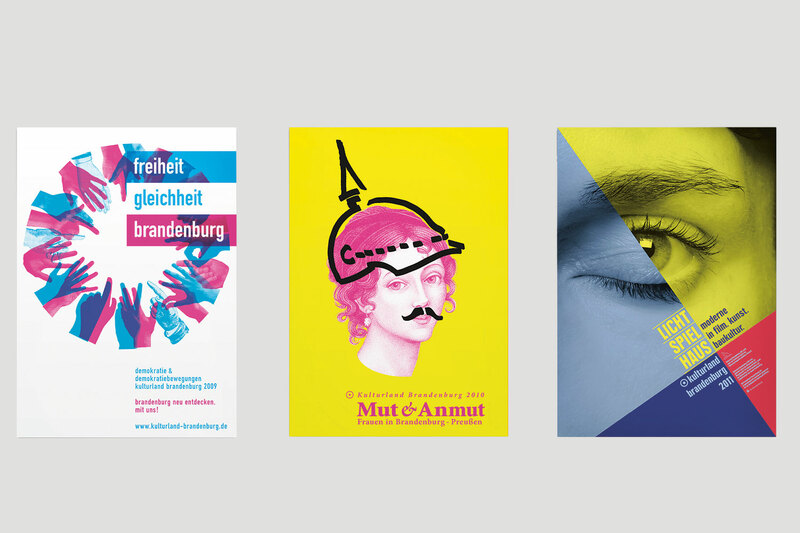 Since 2009 we have been creating campaigns and visual appearances for Brandenburg theme years. 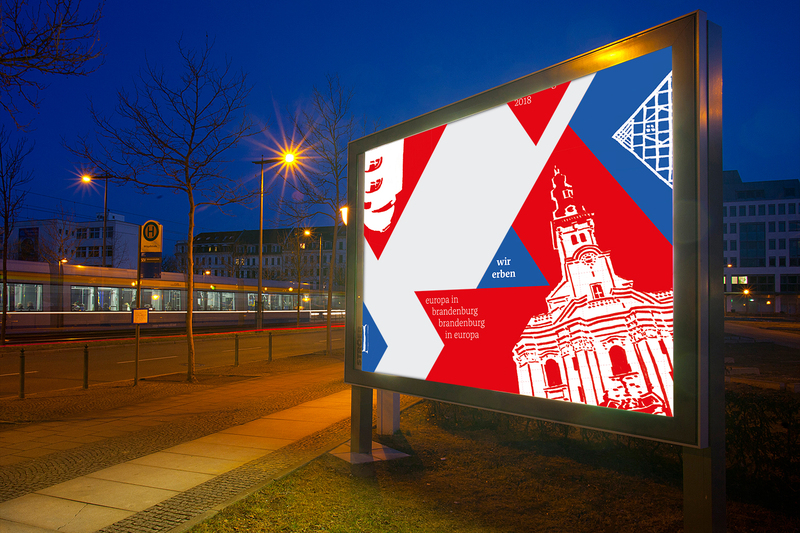 Kulturland Brandenburg is a campaign by the state that aspires to revive cultural landscape and civic participation in Brandenburg culture. 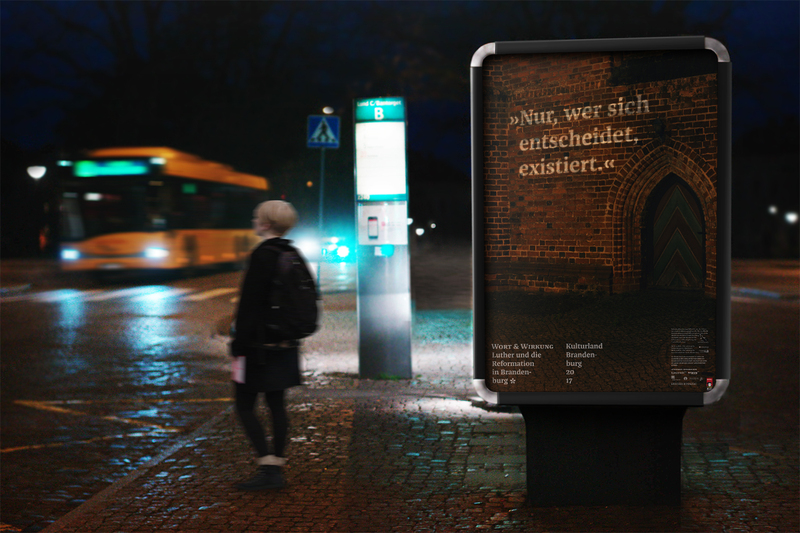 A new thematic spotlight is announced yearly for which Brandenburg museums, theatres and organizations can propose project ideas. 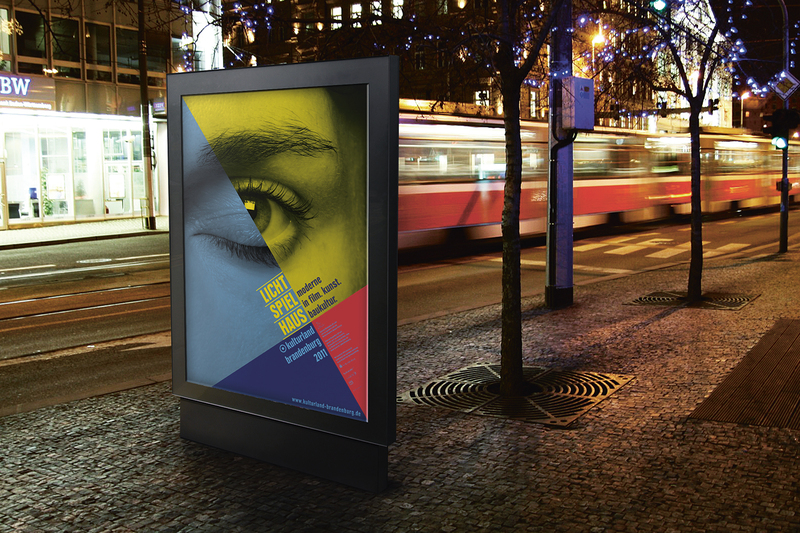 Since 2009 we have been creating visual appearances for these theme years. In doing so, we imply catchy leitmotifs and well structured typography. A specific challenge of decentralized campaigning lies in developing communication tools for up to 3o participating projects. Participants are supposed to identify and employ these means of media independently. 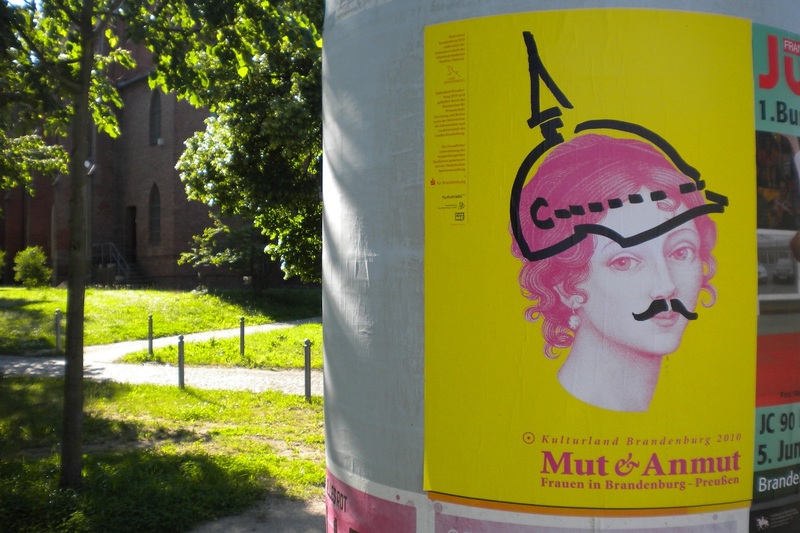 We are excited to see our creations unfold in a way that has not lost any of its humor and ease despite the complexity of the challenge posed: „Liberty, equality, Brandenburg“ or „Courage and charm- women in Brandenburg and Prussia“. The 2012 campaign required from us a special sort of courage. 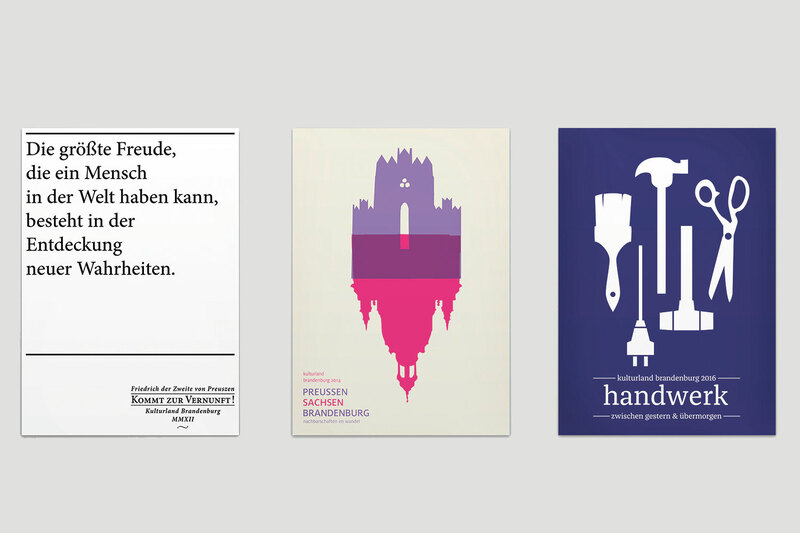 Its typography included quotes of Friedrich the Second of Prussia. 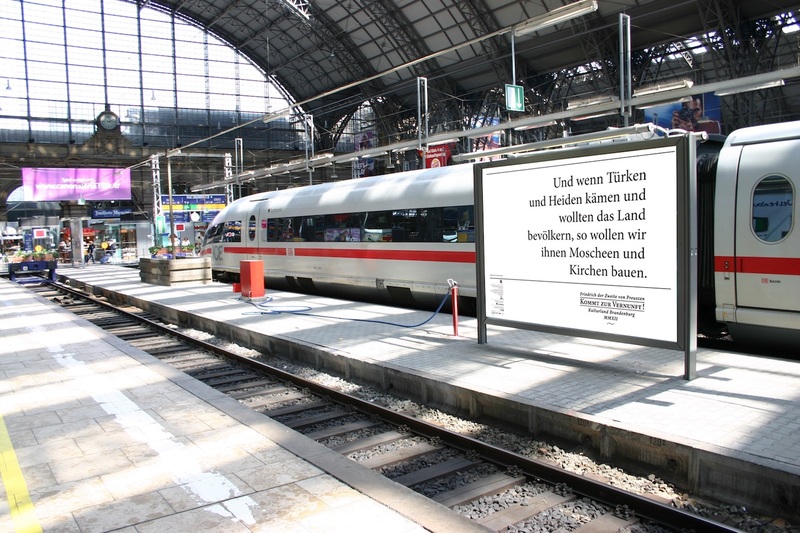 „And if Turks and Pagans came and were to populate the land, we are to build for them mosques and churches“, was among the quotes put up in Berlin train stations in 2012.